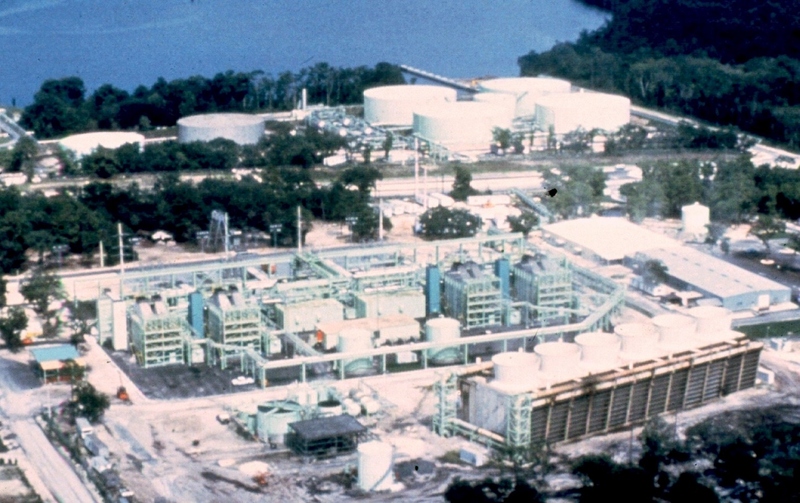 The Florida Power and Light Company's Power at Combined Efficiency (PACE) 520, which consists of two mirror-image PACE 260 plants, in Palatka, Florida. 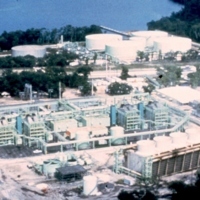 The plant was installed in 1976. PACE combined-cycle plants are comprised of two Westinghouse 501 (W501) gas turbines and a 100 MW Westinghouse steam turbine. Original color photograph: Private Collection of Harry L. Jaeger. Digital reproduction of original color photograph. “Florida Power and Light Company's Palatka Station.” RICHES of Central Florida accessed April 20, 2019, https://richesmi.cah.ucf.edu/omeka/items/show/7742.